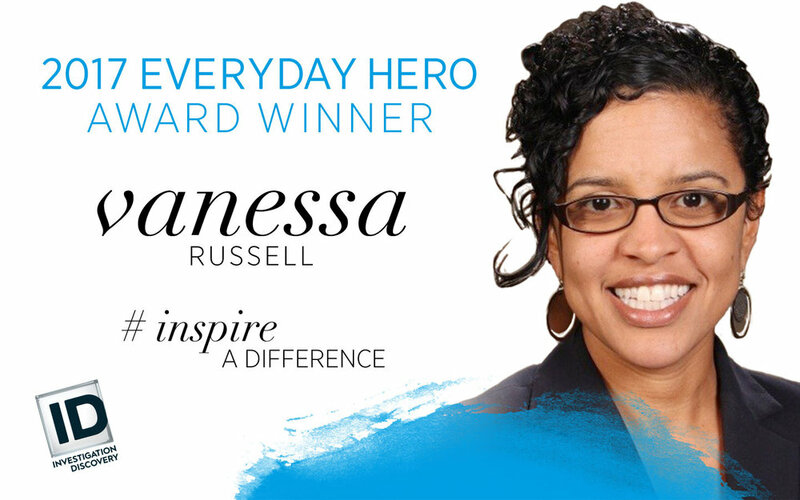 Love Never Fails is honored that our Founder and Executive Director, Vanessa Russell, was chosen by Investigation Discovery (ID) and Time Inc.’s PEOPLE magazine as the 2017 winner of the annual INSPIRE A DIFFERENCE Everyday Hero award. ID’s multiplatform public affairs campaign, INSPIRE A DIFFERENCE, is designed to inform a national dialogue around topics such as domestic violence, abuse, bullying, and civil rights, while encouraging viewers to take action and make a difference in the lives of others. Vanessa embodies the purpose of the Inspire A Difference platform in every way. In 2010, one of her 15-year-old dance students was sold into human trafficking. Although the student was eventually located and is being restored, Vanessa has encountered many other women, men and children who have become trapped in modern-day slavery. Her response was to launch Love Never Fails, a nonprofit dedicated to the restoration, education and protection of those involved or at risk of becoming involved in domestic human trafficking. Since launching in December of 2011, Love Never Fails has educated thousands of children and community members on the issue of human trafficking and opened two homes that provide long-term safe housing and restorative services for an average of 26 women survivors and their children each year. Vanessa believes that the issue of human trafficking can be solved through love expressed in prayer, safe housing, mentoring, job training, outreach, and education. Learn more about Vanessa here. Please join our efforts to stop human trafficking and help survivors be restored by making a contribution to one of our programs.